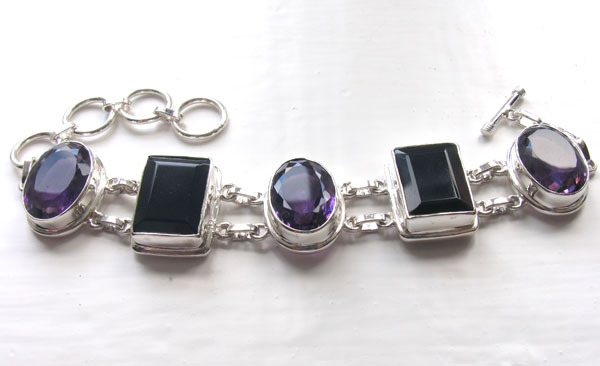 Amethyst and black onyx bracelet in sterling silver. 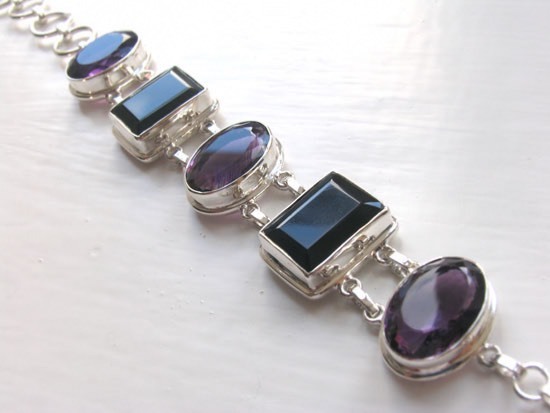 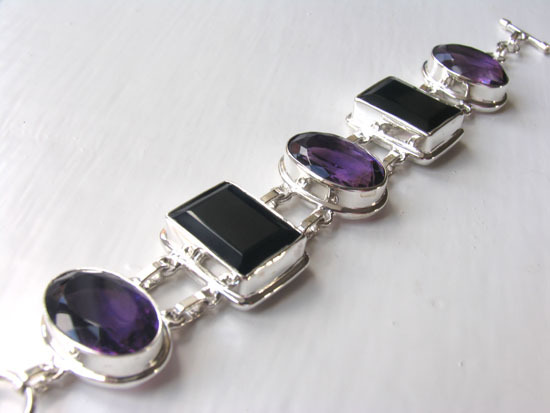 This stunning gemstone bracelet is a chunky style featuring 5 large gemstones - 3 oval amethysts and 2 rectangular black onyx stones. 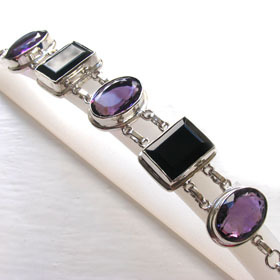 Each oval amethyst is diamond cut and the rectangular black onyx stones are emerald cut. 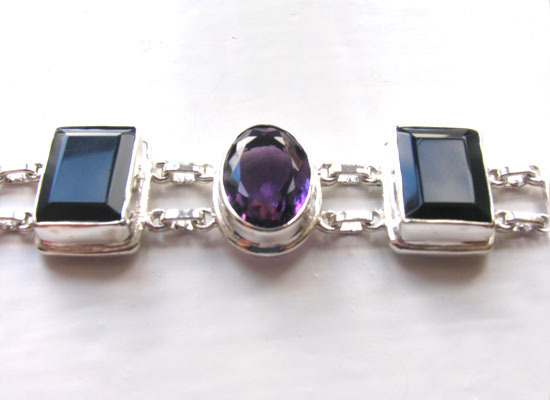 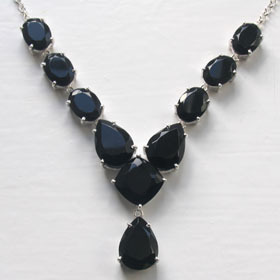 The amethysts sparkle magnificently with a gorgeous deep purple colour and look fabulous with the black onyx. 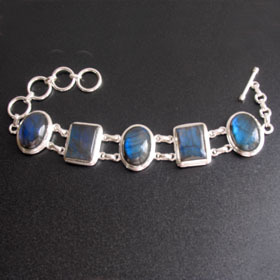 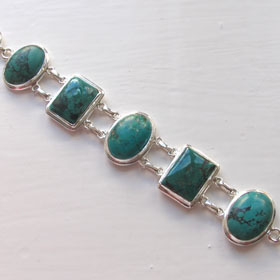 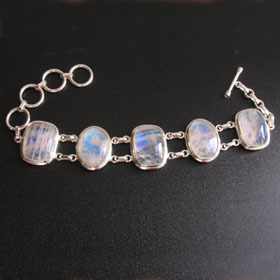 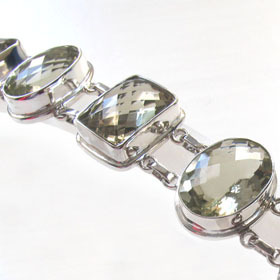 Between each gemstone are 2 parallel links which keep the stones flat to your wrist when you wear the bracelet. 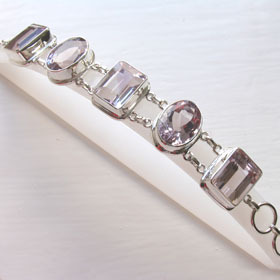 The bracelet fastens with a toggle clasp and has 4 rings to adjust the length to different sized wrists. 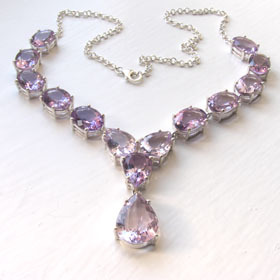 Choose some amethyst earrings and an amethyst pendant to make a set. 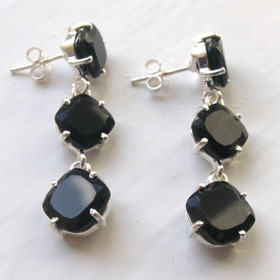 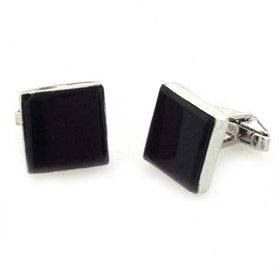 You might like our amethyst and black onyx earrings Marie. 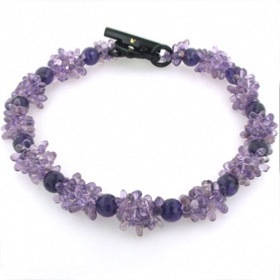 Amethyst is the February birthstone - an amethyst bracelet is a perfect gift!